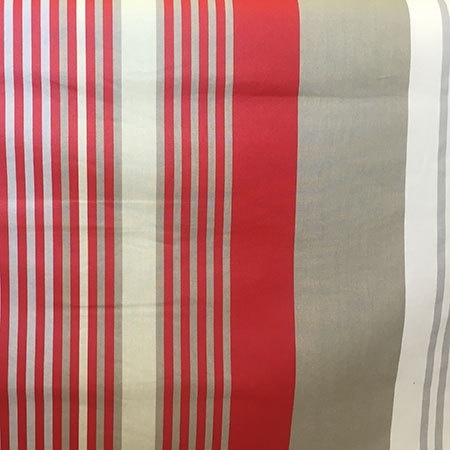 Stripes of red, grey, beige and a soft green. Stripes range between 1-9cm wide. Acrylic coated cotton. Matt finish.